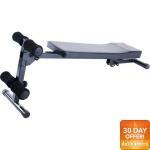 Deal Categories: Fitness Equipment Deals.Stores: Walmart. 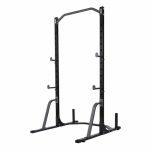 Fitness Rollback at Walmart takes up to 50% off select fitness equipment, with prices starting as low as $2.42. Shipping starts at $4.97 but you can select in-store pickup to avoid any shipping charge. Most items over $50 ship for free. This CAP Barbell FM 4001 Ab Slant Board drops to $38.7 which is the lowest price we could find for this model by at least $27!